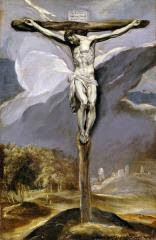 Articles » Posts tagged "Good Friday"
The Service for Good Friday leads us through the last hours of our Lord Jesus’ life on the day we commemorate his holy death. Beginning with Isaiah’s prophecy of the suffering servant through Hebrews’ description of the New Covenant, we finally listen to John’s narration of Christ’s trial and then rise to witness him cruelly crucified at Golgotha. Our Communion Prayer (Rite 1) gathers and summarizes the motivation of God and the effects of Jesus’ death in this way. It is here on the cross that Jesus combines the holy intentions of heaven with the broken realities of earth. Damnation, Judgment, Salvation, Blessing, Justice, Mercy, Death and Life. Grace. The Communion prayer makes petitions based on this“once offered” gift to His Father and his people. …most humbly beseeching thee to grant that, by the merits and death of thy Son Jesus Christ, and through faith in his blood, we, and all thy whole Church, may obtain remission of our sins, and all other benefits of his passion. Good Friday ends without the pronounced blessing of either bishop or priest. What greater blessing than the redemption of the world and the security of our souls might we seek? We stand in awe and grief and are sated by the abundance of Christ’s generosity. There is no final dismissal, for we are a people waiting for Jesus’ self-specified third day, when the evidence of Christ’s trustworthiness will be revealed. Throughout Lent, we have sung and prayed the comfortable words as we prepared for Holy Communion. Hear the Word of God to all who truly turn to him. The Good Friday service concludes with a final prayer. In its expansiveness and boldness, we find the faithful response to the Savior’s invitation and accomplishment. Lord Jesus Christ, Son of the living God, we pray you to set your passion, cross, and death between your judgment and our souls, now and in the hour of our death. Give mercy and grace to the living; pardon and rest to the dead; to your holy Church peace and concord; and to us sinners everlasting life and glory; for with the Father and the Holy Spirit you live and reign, one God, now and forever. Amen. As you prepare for Easter Sunday and its joyful exuberance, we invite you to remember the good work your savior has done for you this day. And the good work he continues to do for us and the world because his Cross-work was not the end, but the beginning. To see the April Sunday Server Schedule, click here. 12 The Lord said to Moses and Aaron in Egypt, 2 “This month is to be for you the first month, the first month of your year. 3 Tell the whole community of Israel that on the tenth day of this month each man is to take a lamb[a] for his family, one for each household. 4 If any household is too small for a whole lamb, they must share one with their nearest neighbor, having taken into account the number of people there are. You are to determine the amount of lamb needed in accordance with what each person will eat. 12 “On that same night I will pass through Egypt and strike down every firstborn of both people and animals, and I will bring judgment on all the gods of Egypt. I am the Lord. 13 The blood will be a sign for you on the houses where you are, and when I see the blood, I will pass over you. No destructive plague will touch you when I strike Egypt. 14 “This is a day you are to commemorate; for the generations to come you shall celebrate it as a festival to the Lord-a lasting ordinance. 2 The evening meal was in progress, and the devil had already prompted Judas, the son of Simon Iscariot, to betray Jesus. 8 By oppression[d] and judgment he was taken away. 19 Therefore, brothers and sisters, since we have confidence to enter the Most Holy Place by the blood of Jesus, 20 by a new and living way opened for us through the curtain, that is, his body, 21 and since we have a great priest over the house of God, 22 let us draw near to God with a sincere heart and with the full assurance that faith brings, having our hearts sprinkled to cleanse us from a guilty conscience and having our bodies washed with pure water. 23 Let us hold unswervingly to the hope we profess, for he who promised is faithful. 24 And let us consider how we may spur one another on toward love and good deeds, 25 not giving up meeting together, as some are in the habit of doing, but encouraging one another-and all the more as you see the Day approaching. 12 Then the detachment of soldiers with its commander and the Jewish officials arrested Jesus. They bound him 13 and brought him first to Annas, who was the father-in-law of Caiaphas, the high priest that year.14 Caiaphas was the one who had advised the Jewish leaders that it would be good if one man died for the people. So the soldiers took charge of Jesus. 17 Carrying his own cross, he went out to the place of the Skull (which in Aramaic is called Golgotha).18 There they crucified him, and with him two others-one on each side and Jesus in the middle. 19 Pilate had a notice prepared and fastened to the cross. It read: jesus of nazareth, the king of the jews. 25 Near the cross of Jesus stood his mother, his mother’s sister, Mary the wife of Clopas, and Mary Magdalene. 26 When Jesus saw his motherthere, and the disciple whom he loved standing nearby, he said to her, “Woman,[c] here is your son,” 27 and to the disciple, “Here is your mother.” From that time on, this disciple took her into his home. 38 Later, Joseph of Arimathea asked Pilate for the body of Jesus. Now Joseph was a disciple of Jesus, but secretly because he feared the Jewish leaders. With Pilate’s permission, he came and took the body away. 39 He was accompanied by Nicodemus, the man who earlier had visited Jesus at night. Nicodemus brought a mixture of myrrh and aloes, about seventy-five pounds. [f] 40 Taking Jesus’ body, the two of them wrapped it, with the spices, in strips of linen. This was in accordance with Jewish burial customs. 41 At the place where Jesus was crucified, there was a garden, and in the garden a new tomb, in which no one had ever been laid. 42 Because it was the Jewish day of Preparation and since the tomb was nearby, they laid Jesus there. 34 Then Peter began to speak: “I now realize how true it is that God does not show favoritism 35 but accepts from every nation the one who fears him and does what is right. 36 You know the message God sent to the people of Israel, announcing the good news of peace through Jesus Christ, who is Lord of all. 37 You know what has happened throughout the province of Judea, beginning in Galilee after the baptism that John preached- 38 how God anointed Jesus of Nazareth with the Holy Spirit and power, and how he went around doing good and healing all who were under the power of the devil, because God was with him. 3 Since, then, you have been raised with Christ, set your hearts on things above, where Christ is, seated at the right hand of God. 2 Set your minds on things above, not on earthly things. 3 For you died, and your life is now hidden with Christ in God. 4 When Christ, who is your[a] life,appears, then you also will appear with him in glory. And he does — A few weeks ago Eli said to Mia, Barbara, during school time, that he was really excited about, and looking forward to, seeing his first father when he goes to heaven. I am so thankful for the church year. It lays out for us the gospel in a way that we can follow Jesus’ life, death and resurrection. (The gospel, the good news, is an event before it is a doctrine.) And we are currently at the pinnacle, the high point, the most holy time of the year – the Paschal Triduum. It’s also a bit overwhelming to try and know what to grab from it and share with you all. So here are just 2 tidbits, a painting and a song, from my Holy Week encounters for your Triduum. — This painting by Holbein has come to mind each time I have done the Stations of the cross this week. I first encountered it in Dostoevsky’s THE IDIOT. Portraits apart, this is perhaps Holbein’s most striking image. Since Dostoevsky’s observations in the nineteenth century, which dwelt on the forbidding aspects of physical decay and bodily corruption, the painting has been seen as the product of a mind steeped in the apocalyptic horrors that were unleashed by the first phase of the Reformation. But what is known of Holbein’s phlegmatic interpretation of the human condition belies this interpretation. Modern authorities suggest that Holbein intended to stress the sheer miracle of Resurrection and its imminence, since the minutely-observed level of decay in the gangrenous wounds suggests that we see Christ’s body three days after death. — And I love this song by Rich Mullins and as I have read the gospel for Sunday you can’t miss that for Mary Magdalene, Jesus is her one thing. Is he mine? Yours? Who have I in Heaven but You Jesus? And what better could I hope to find down here on earth? Cause who have I in Heaven but You Jesus? Blessed Triduum to you all! Good Friday provokes all sorts of questions and emotions for me as I suspect it does for you all. Reading and walking through the Stations this Wednesday one of the pilgrims simply began to cry, perhaps the most appropriate response that can be made. If Christ had not been put to death, death would not have died. The devil was conquered by his own trophy of victory. The devil jumped for joy, when he seduced the first man, and cast him down to death. By seducing the first man, he killed him; by killing the last man, he lost the first from his snare. The victory of our Lord Jesus Christ came when he rose again from the dead, and ascended into heaven. It was at this point that the text from the Book of Revelation, which you heard read today was fulfilled: “The lion of the tribe of Judah has won the day.” (Revelation 5.5). The one who was slain as a lamb is now called a lion, a lion on account of his courage, a lamb on account of his innocence; a lion because he was unconquered: a lamb because of his gentleness. By his death, the slain lamb has conquered the lion who “goes around seeking someone to devour.” (1 Peter 5.8). The devil, on the other hand, is here called a lion for his savagery, rather than his bravery… The devil jumped for joy when Christ died; and by the very death of Christ the devil was overcome: he took, as it were, the bait in the mousetrap. He rejoiced at Christ’s death, believing himself to be the commander of death. But that which caused his joy dangled the bait before him. The Lord’s cross was the devil’s mousetrap: the bait which caught him was the death of the Lord. Widely regarded as the most influential Latin patristic writer, Augustine was converted to Christianity at the Northern Italian city of Milan in the summer of 386. He returned to North Africa, and was made Bishop of Hippo in 395. He was involved in two major controversies: the Donatist controversy over the church and sacraments, and the Pelagian controversy over grace and sin. He also made substantial contributions to the development of the doctrine of the Trinity, and the Christian understanding of history. PS One theologian said Jesus’ theory of the atonement was to invite us to dinner and offer us himself in his body and his blood, at-one-ment with him. PPS You are invited to join our Lord, at-one-ment, in communion, each of the Great 50 days of Easter. Tuesday, Thursday, Saturday — at 7 a.m.